Having fine hair is not a result of having fewer hairs but instead each strand is significantly thinner in diameter than normal hair. It's as if there's less of it, it lacks grip, becomes flat and it's difficult to do anything with it. What if science could give you thicker hair than nature did? 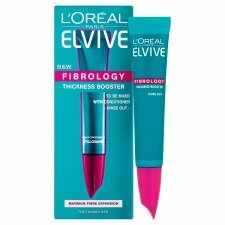 A breakthrough in the science of hair, L'Oréal Laboratories have created a Thickness Booster with highly concentrated Filloxane. The molecule that creates hair thickness is now available in a concentrated dose for an instant intensive treatment. Instantly: Filloxane penetrates deep within the fibre*. 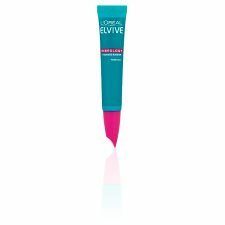 Over time: The formula expands for visible thickening*. Hair looks & feels instantly thicker. *Instrumental test with Shampoo, Masque & Thickness Booster. 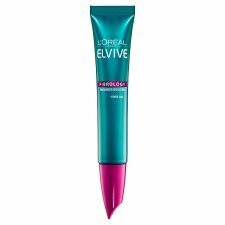 1/ Put your desired amount of Elvive Fibrology Conditioner or Masque into your hand. 2/ Add an equal amount of Thickness Booster. 3/ Mix in your hand and work through the lengths of your hair, right to the tips. For optimum results use twice a week.